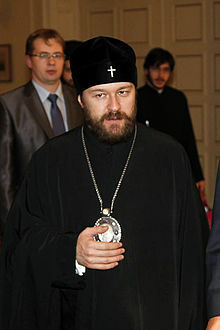 Despite the fight over ecclesiastical territorial recognition and control in the Ukraine, and despite attempts by more sincere MP members to steer the breach in communion between the Phanar and Moscow into a more productive dispute over Ecumenism, the Moscow Patriarchate’s chief representative under the Patriarch, and its head of the Department of External Church Affairs, Metropolitan Hilarion (Alfeyev), continues full blast with ecumenical meetings and activities with the Vatican. First, Metropolitan Hilarion went to Fatima, the centre where the devil and the demons manifested in a false vision and deceived multitudes, and was officially greeted by various Papist officials. Secondly, Met. Hilarion then continued and met with his Vatican counterpart Cardinal Koch. Thirdly, Met. Hilarion then participated in a Vatican Papist Synodal bishops conference, 1 and 2. Fourthly, and lastly [seemingly], it was rounded up with a visit by the second in command of the Moscow Patriarchate [effectively] to the so-called ‘Pope of Rome’, Francis I [Bergoglio]. 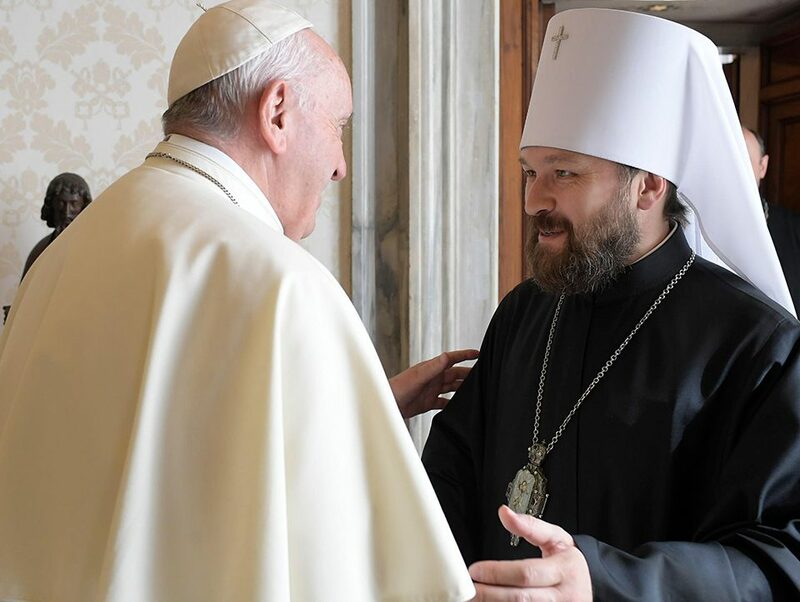 It seems a great deal of this has been to solidify the MP leading role in the World ‘Orthodox’ ecumenist movement and to supplant the Phanar; even trying to garner support from the Vatican for the situation in Ukraine. Far from this being the idiosyncratic journey of some foolish idiot MP Metropolitan, or some chance encounter with a photo op, or some early attempt at photos with non-Orthodox in some horribly misplaced hope at conversion, as terrible, horrible, and misguided as those are (one can certainly recall St. Tikhon’s pictures with the Anglicans in vestments, or Met. 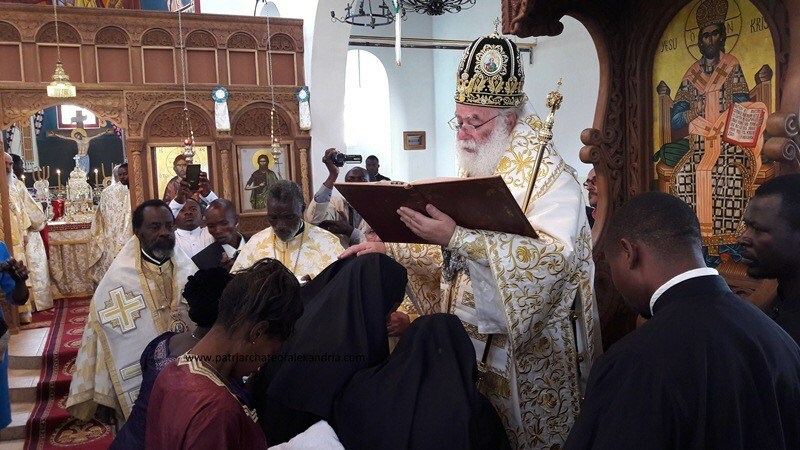 Vitaly of ROCOR allowing the Anglican bishop of Toronto in vestments to stand on the solea), this is a premeditated continuation of the ecumenist policy of the MP by well seasoned ecumenists. The Ecumenical Patriarchate is certainly terrible and fallen in this regards; the Ecumenical Patriarchate after all, commemorates the head of the Vatican on official visits [1 and 2 ]. The MP, I guess, hasn’t officially allowed that anywhere. 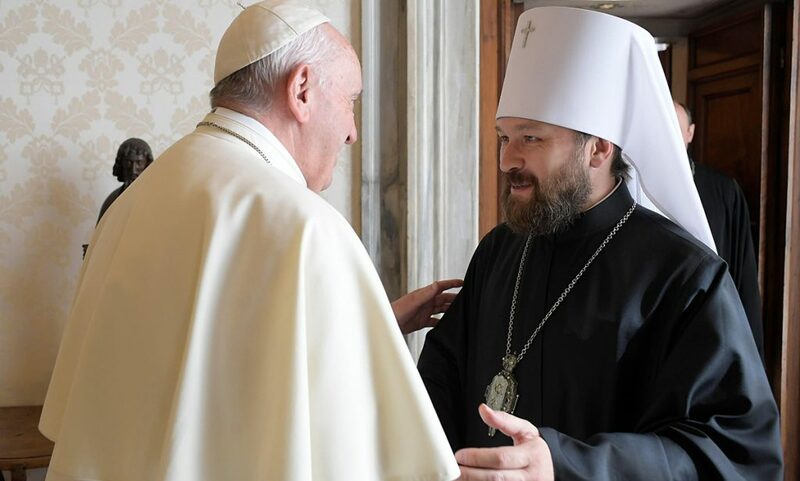 The institution of the Moscow Patriarchate, despite having perhaps some ‘good people’ in it, certainly is a long way off, to say the absolutely least, from becoming the leader of any anti-ecumenist, anti-modernist, and, of course, anti-sergianist movement. It is still just as much a political machine as the Kiev Patriarchate under Philaret is. One constantly hears from some, “It isn’t that bad inside the MP; we really are against all this ecumenism.” Yet, when you break communion over who gets ecclesiastical control of Ukraine, and over excommunicated monks there, yet, you tolerate the ecumenistic and modernistic heresies that have been raging for decades, without a single peep of any threats of breach in communion with the Phanar over that, it certainly explains the priorities of the high officials that run the MP. Many of us would love to be proved wrong, and to see some radical traditionalist upsurge that takes over the MP, and ousts the ecumenists, modernists, and sergianists, and that immediately severs communion with ecumenists, modernists, and sergianists, but, there is probably only a 10% chance of that happening [especially since ROCOR in its unia with the MP contributed to the lessening of such an event by its capitulation; this author himself recently heard from an MP priest in the Philippines that the ROCOR anathema of 1983 was a ‘false anathema’ and that there ‘was not ecumenist heresy’]. 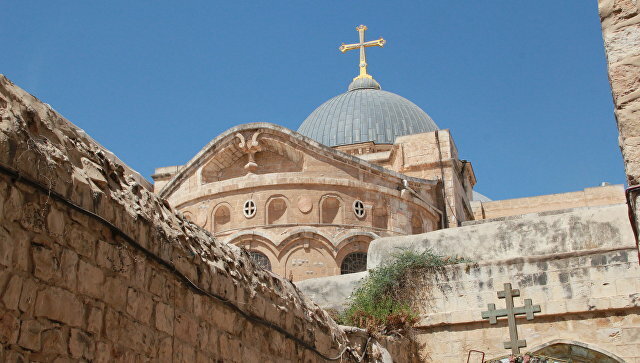 All we are left with, then, is a break between the Phanar and Moscow, that can ever widen and reverberate throughout World Orthodoxy, leading, probably, to some situation of two ecumenical and modernist World Orthodox communions that don’t recognize each other.